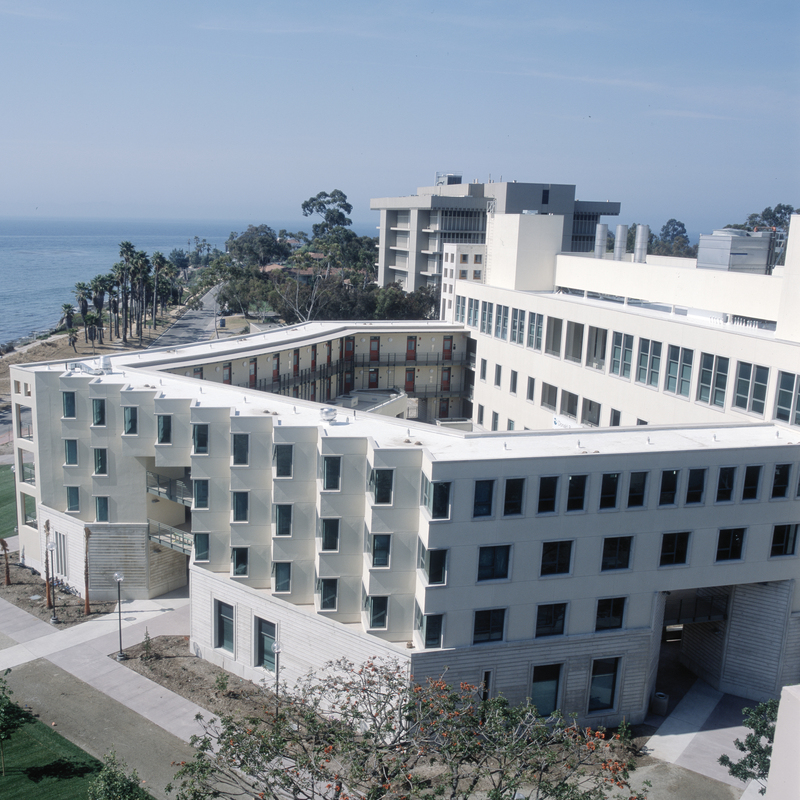 Thanks in part to Wausau Window and Wall Systems, Donald Bren School of Environmental Science & Management’s laboratory building at the University of California (UC) Santa Barbara, remains one of the greenest buildings and one of the highest performing, most sustainable buildings constructed in the last 15 years. Bren Hall achieved LEED® Platinum certification in 2002, making it the greenest laboratory building in the country and the first in the UC system to be LEED certified. The building has three floors of teaching and research laboratories and four floors of offices. Each floor of the building blends disciplinary boundaries to reflect the school’s strong commitment to interdisciplinary study. In this same spirit, ample provision is made for space where faculty, students and visitors can interact and exchange ideas. To maximize energy efficiency in such an energy-intensive laboratory setting, Wausau manufactured the building’s large daylight-harvesting 2250 Series window system. Facing the ocean, the office wing has no air conditioning, but relies on flow-through ventilation with Wausau’s operable windows and transoms. The windows in the office wing have a mechanical interlock (a small sensor in the frame) so that when the units are open, the office’s heaters automatically turn off. In addition to ample use of natural ventilation and daylight, energy-efficient lamps and ballasts, including motion and ambient light sensors help control lighting levels and a rooftop solar photovoltaic system generates approximately 10 percent of the building’s power onsite. The building reportedly uses up to 40 percent less electricity than a conventional structure. It surpasses the Title 24 requirements for energy efficiency standards by more than 31 percent. Recycled, renewable and durable materials also helped meet the project’s sustainable design and construction objectives. Linetec finished Wausau systems’ recycled aluminum framing using a two-coat 70 percent polyvinylidene fluoride (PVDF) resin-based coating. The gray color was custom-blended in Linetec’s in-house laboratory. As an environmentally responsible finisher, Linetec captures the liquid paints’ volatile organic compounds (VOCs) to eliminate the exhaust of potential pollutants. Tested to meet the stringent AAMA 2605 specifications, the resulting, durable coating ensures a long-lasting finish. The paints, adhesives, and finishes used in the building meet the requirements of the South Coast Air Quality Management District’s “Volatile Organic Content Rule 1168 for Adhesive and Sealant Applications.” The use of low-VOC paints and finishes also contributed to Bren Hall earning both its credits and its reputation as the highest standard for sustainable buildings and a role model for all of UC’s campus buildings.